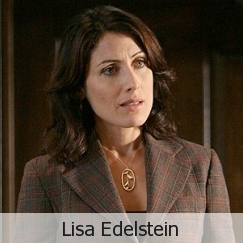 See the gallery for quotes by Lisa Edelstein. You can to use those 6 images of quotes as a desktop wallpapers. There are so many good roles for women out there, I don't understand it when people say the role choices are fewer as you get older. I find the opposite to be true - there are less good roles out there for the hot 20-year-olds because the normal girl parts just aren't interesting. Well first of all, I think the phrase 'jump the shark' has jumped the shark. I read it in every article and I think that when Fonzie actually jumped the shark, 'Happy Days' was on the air for another five years. Well, I don't think just because people are in a relationship that they're happy. I don't think relationships necessarily make people happy. You just are happy or you're not happy. When Luke and Laura dated in 'General Hospital' when I was a kid, I was very excited. And that was a rather pathetic relationship if you break it down because let's face it: he raped her... and then they got married. There's all kinds of things that TV does to relationships. When you play the same character for a long time, you have a shorthand. You get onto the set, you put on your outfit and two-thirds of your work is done because you've built on that work for so many years. You can't do things unexpected in life if you're not willing to take a risk, and it's easier to risk your own life than it is for your parent to watch you take risks. It's very, very hard for parents to see children doing things that aren't a solid path. I've been through that. You know what, I've always been a smarty-pants, and the only thing that goes wrong now is that people know that I play a doctor on TV and so they quickly call me out on the fact that I really think I am a doctor. It's always weird to shoot when you're really basically not wearing anything. The hardest part about being vegan is shoes. I mean, really, that's the only difficult part, finding shoes that don't have leather on them. Well, I don't think characters change. I think they become more revealed. I don't think you really can change a character on a show. Much more quotes by Lisa Edelstein below the page. 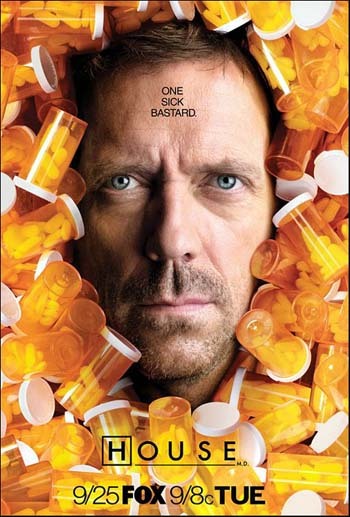 I always think, medically... you really have to be your advocate. You have to be able to back up everything that you're feeling with some information and protect yourself through the world of hospitals and doctors' offices, so the more information the better. I just think there's always room for humanity in acting, one can only hope, so when you bring in the whole life of a person that's playing a character, then surprises happen and are allowed to happen, and so it makes it more interesting. I think it's really important for celebrities to use their power of money and fame to get their voices out there. It's funny to me that we're expected to keep quiet just because of who we are. Why do I lose my right to speak my mind because I'm famous? I think that popular culture takes a long time to catch up to what's actually happening in the world. Women have had to take care of themselves for quite a while. Actually, not had to take of themselves, but have wanted to take care of themselves, so I think it's a big transition that our country and our society has been going through a long time. I think writers like to see how people bring their words to life, and it's always surprising. Always, no matter what, whether it's good or bad, it's always surprising because a whole human being is coming to that piece of writing. If you eat a lot of starchy foods, introduce a vegetable once a week, then twice a week, and then three times a week. Slowly fill your diet with new flavors. By the time you're ready to let go of whatever it is you want to let go of, you've got a full menu.